Our last No Floss Allowed post was on horse hair, and today we're bringing you a little sampler using human hair. I have very long dark hair, so when the &Stitches crew mentioned a floss-free month, I jumped at the chance to use my own hair to stitch. I was inspired by Victorian hair art, which used to be quite popular. You can see some interesting examples of the variety of the ways they created using hair here. I decided to go rather small and simple, and I'm glad I did. 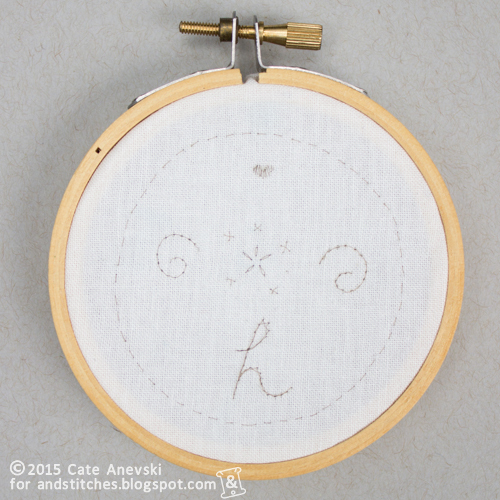 My sampler is in a tiny 3-inch hoop, but even so, it took some time to complete. Human hair is even thinner than horse hair, so the lines it creates are very faint and don't fill the space in the same way as embroidery floss. For the same reason, I also chose a fairly tight weave fabric, and probably would go with an even finer weave if I were to try it again. If you're interested in trying your own hair stitching (and I suggest it — it's an interesting process stitching a piece of yourself! ), here are a few tips. To start my stitches, I created one small stitch and tied the working thread and tail into a square knot. While the hair tangles easily, it doesn't really knot very well, so I'd also recommend traveling your thread across the back rather than starting and stopping when you move to a new area. No chance of a pretty back here! 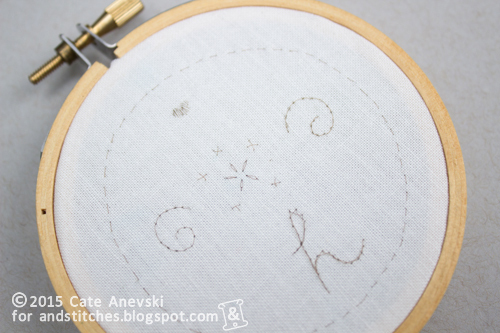 When it comes to stitches, the easiest to use were backstitch (the spirals), running stitch (the circle around the edge), lazy daisies (the flower), and cross stitches or straight stitches (the Xs). Satin stitch didn't cover very well (see my attempt at a heart at the top? ), though it might work better on a tighter weave of fabric. Stem stitch worked OK as long as the stitches were very tiny. You can see in the loop at the top of the H (for hair, of course!) that the larger stem stitches didn't go around the curve very gracefully, although it did create an interesting effect. French knots didn't work at all and just tangled my hair. Overall, I really do like the effect of stitching with human hair. And sometimes it's just nice to really mix up your media to experiment with your art. 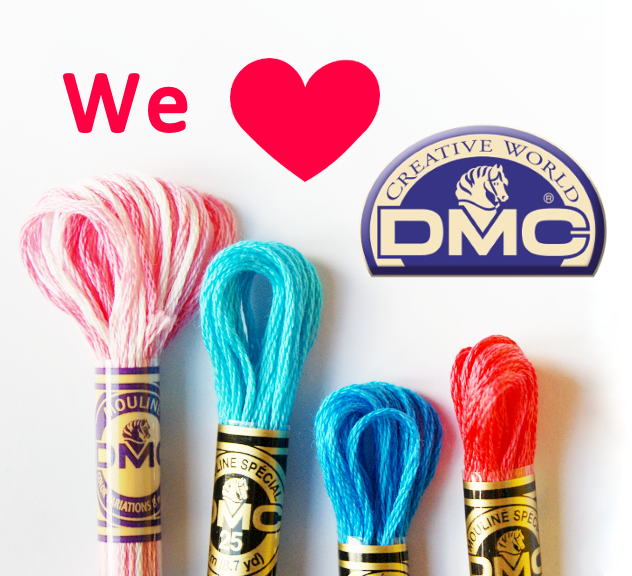 Have you tried any fun stitching experiments? Please share in the &Stitches Flickr group. We'd love to see it!